Cloud computing, also known as on-demand computing, is a kind of internet-based computing, where shared resources and information are provided to computers and other devices on-demand. It is a model for enabling ubiquitous, on-demand access to a shared pool of configurable computing resources. Cloud computing and storage solutions provide users and enterprises with various capabilities to store and process their data in third-party data centers. It relies on sharing of resources to achieve coherence and economies of scale, similar to a utility (like the electricity grid) over a network. At the foundation of cloud computing is the broader concept of converged infrastructure and shared services. For more visit: Wikipedia. That depends on where you store your data. For companies with headquarters in eg. the USA, you have to expect that they can access your data. We - as a German company - are bound by the strict German data protection law and pay close attention to the safety of our customer data, while we use a special encryption system in which not even the password of the encrypted data is stored on our servers. More information can be found at safety. We're focusing on the security and satisfaction of our customers. And, here at Your Secure Cloud you receive real Support. Your data is still encrypted on your device (PC, Smartphone) and then transmitted through a well encrypted ssl-connection to our servers. In this case, the actual password which is used to encrypt the data is not located on our servers. A third party or "Your Secure Cloud" has therefore no way to access your data. As encryption technology we use a combination of AES 256-bit and PBKDF2. This is also called zero-knowledge encryption. 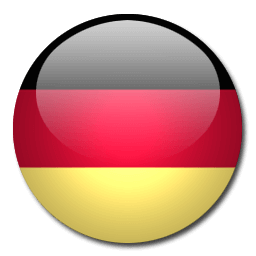 Our Servers are only in german data centers located. The main data center location is in Nuremberg. More information under Security. How long do i have to wait after booking till receive the login information? Is there a demo account to test? If you are a privat customer, please click here to receive the login data to our demo account. If you are a business customer, we can provide a private demo account just for you. How can i connect with the cloud? You can access our services via a web interface or with our clients for Windows, Mac and Linux. We also offer apps for Android and IOS. You can pay via SEPA debit, Creditcard (Visa®, MasterCard®), PayPal or invoice. How often will the amount of my account debited? During the order process you can choose the accounting period. I've lost my password, what to do? I cannot visit the web interface, it says "a connection cannot be established". Please be sure, that you are using the newest edition of the Microsoft Internet Explorer, Mozilla Firefox, Google Chrome oder Apple Safari. I have another question or problem. Please visit our Support-Portal, here you can find a lot of information on how to use our cloud-service. You might also want to contact us directly.